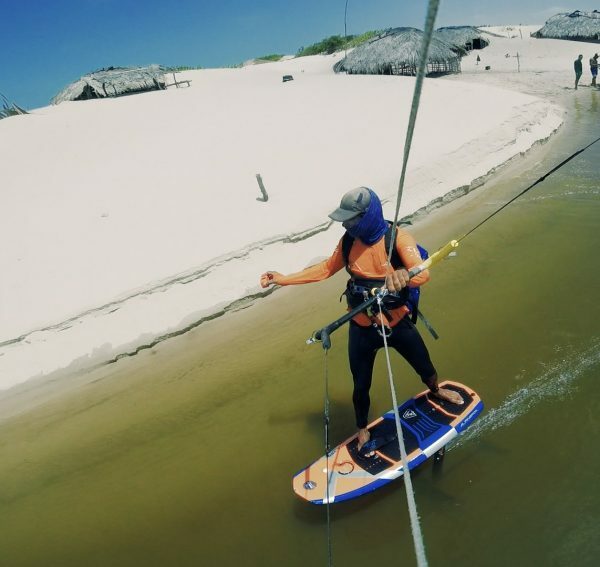 Atins is the hydrofoiling paradise! 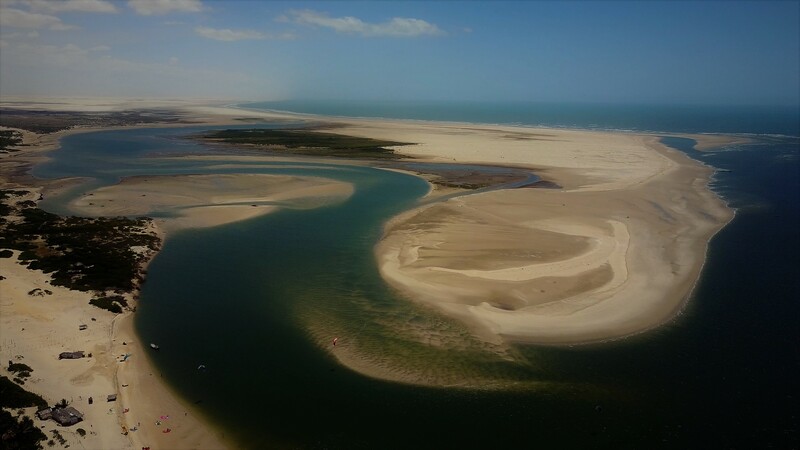 Situated where the Preguiça River meets the sea, there is lot to explore with the Hydrofoil, and it is the perfect place for learning and improving your skills. We will stay 4 days and 3 nights on Vila Guara, a beautifull pousada with beach front bungalows. 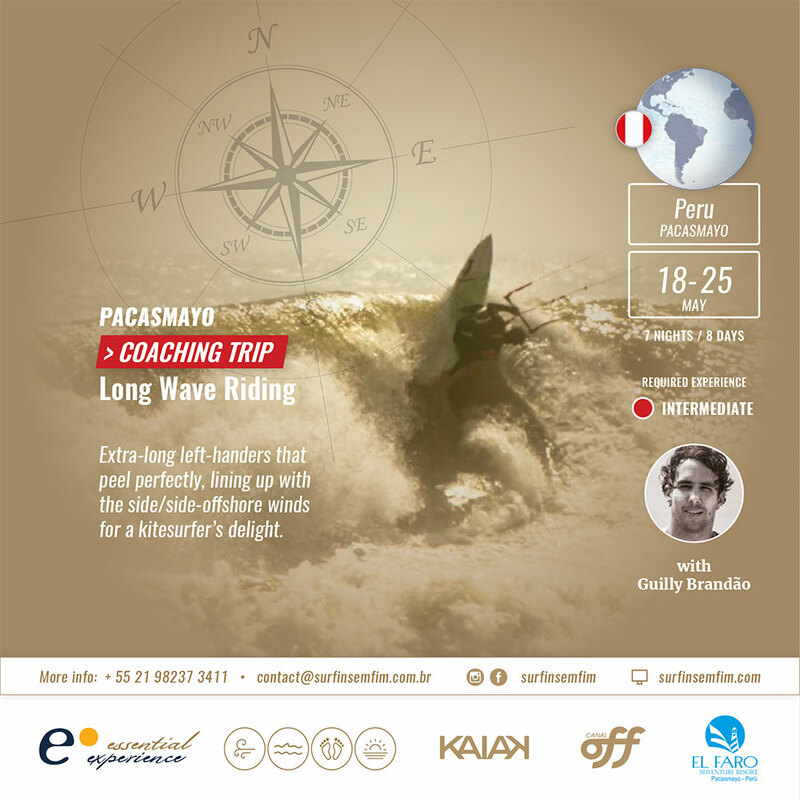 You can learn the basics, or improve your hydrofoiling skill with the expert André Penna. For those who are intermediate riders, we will explore this amazing river hydrofoiling, with boat support. 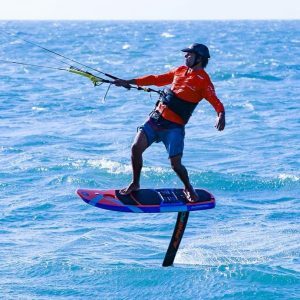 This is a hydrofoil coaching program for those who are starting foiling and want to learn essential techniques. The day before the journey begins we do a test to evaluate whether the kiter is ready for the downwind and to analyze the conditions and the equipment. We leave the hotel early each morning, heading north— for secret, wild, and remote locations. 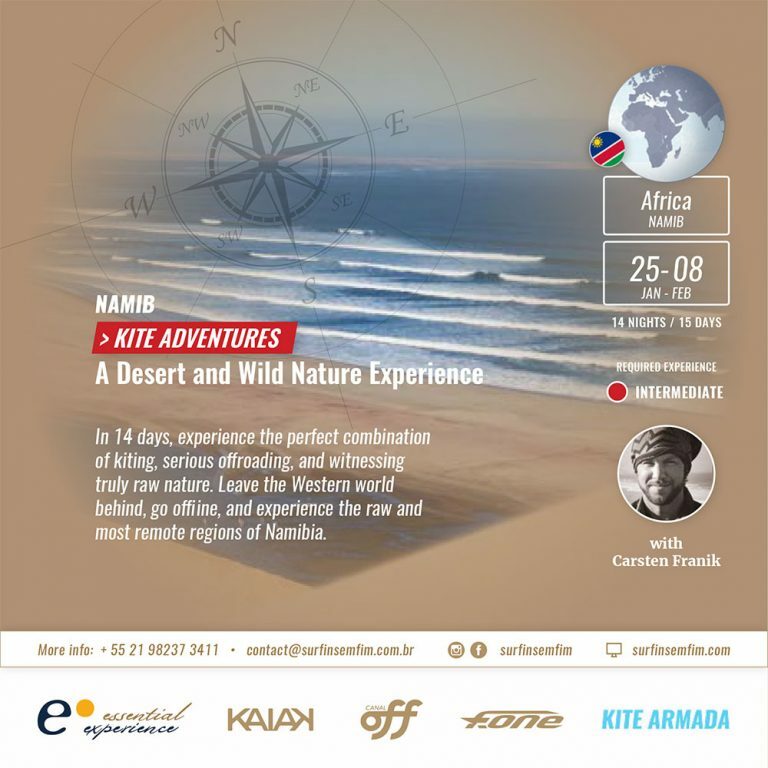 All the details are pre-defined and we offer the guidance from professional athletes in the water, giving valuable tips to kiters daily. There is a briefing given every morning by the team captain, where you are given a clear vision of the expedition: objectives, the beauty, and the dangers. The support vehicles follow the group whenever possible (where access is not possible, there will be guides in the water to help). Some strategic Stopping Points have been organized, where the car will stop and wait with you to hydrate yourself with healthy foods and beverages, as well as refresh your mind for the kiting ahead. Overnight stay in charming, beachfront hotels with breakfast and double rooms. Dinner and drinks at the hotels (Beer & Caipirinhas). Food and Lunch: sandwiches, fruit, water, ice, are provided during the route. Professional Kitesur ng Guide (English/Portuguese/Spanish). Program and logistics by tour operator. Two vehicles available for the sailors and gear. SOS Emergency Button for a rescue Response. Custom Certificate for Completion for the route. *We are available to assist you with anything necessary. Extra expenses. Spirit drinks and wine. Transfer from Jeri or Atins to the airport.